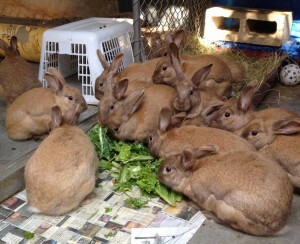 The Buckeye House Rabbit Society, based in Athens, OH, is a chapter of the national House Rabbit Society. 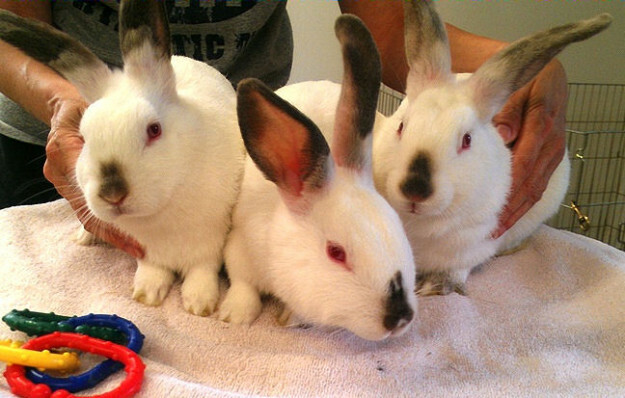 Serving Ohio since 1997, their all-volunteer, federally-recognized, non-profit organization rescues abandoned rabbits and educates the public about rabbit care. 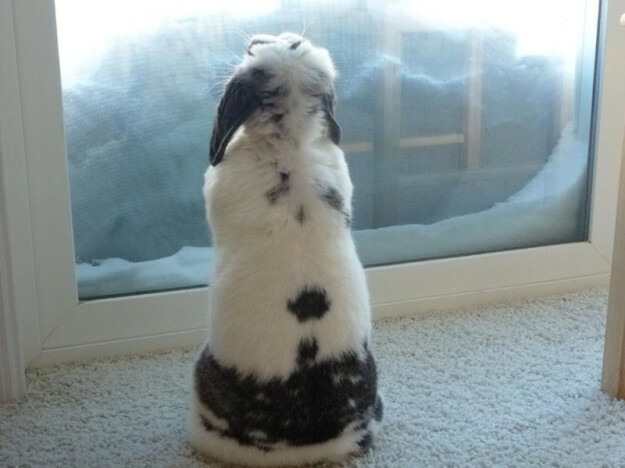 With representatives in Athens, Canton, Cleveland, Cincinnati, and Toledo, and a growing number of volunteers, they work to bring Ohioans up-to-date information about adopting and caring for indoor companion rabbits. Meet Karley, Bunny, and Lindsay. 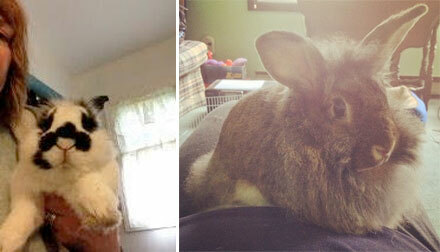 The Buckeye HRS took in a pregnant rabbit who was dumped at a cottontail rehabber’s doorstep in Indiana. These are just three of the eleven baby bunnies that resulted! Learn how to get involved with the Buckeye House Rabbit Society or donate to their organization at their website. Alabama EARS, a rabbit rescue based in Birmingham, AL, is a 501(c) organization and a chapter of the House Rabbit Society. Their focus is to rescue rabbits from shelters, litter box train them, socialize them, and learn about them so they can place them in loving forever homes. They also work to spread awareness about house rabbit care, participating in animal education events and working with local animal shelters. 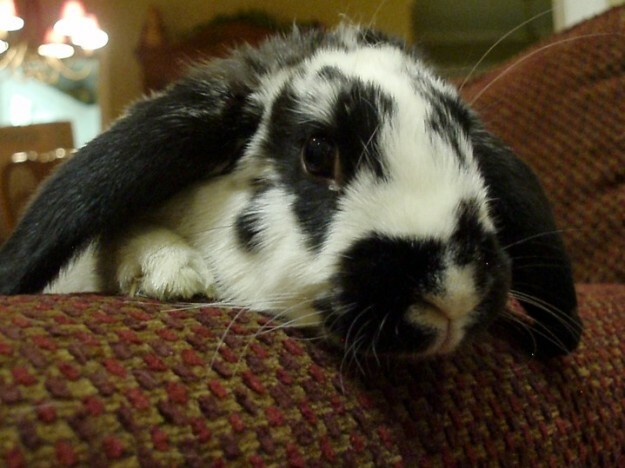 Meet Sally, a rabbit available for adoption at Alabama EARS. Alabama EARS also has sanctuary rabbits, which are rabbits not deemed adoptable who live permanently with one of the organization’s foster parents. 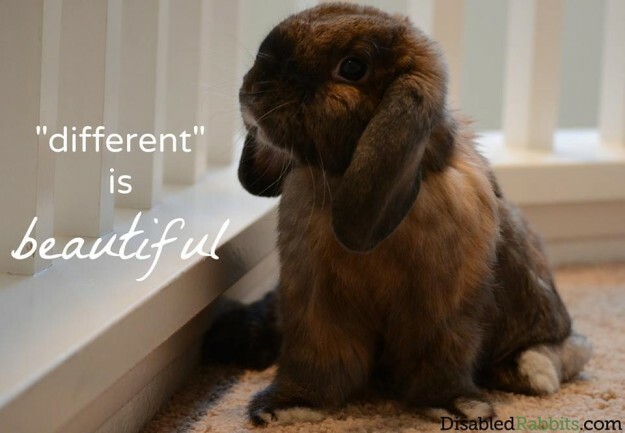 Often a serious medical condition is the cause, and the caretaker would need the specialized knowledge to care for a special needs bunny. To learn more about Alabama EARS or to donate to the organization, visit their website.